Follow these tips to optimize the productivity gains and ROI potential that a mobile printing investment has to offer. 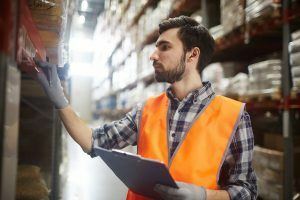 Warehouse operators are continuously looking for ways to cut costs and improve productivity while meeting customer satisfaction expectations and maintaining overall profitability. Once a facility has deployed an ERP (enterprise resource planning) system and barcode scanning equipment, it can be challenging to find areas for additional improvement outside of a sizeable investment in automated material handling equipment. One investment that won’t break the bank and can provide further efficiency gains is mobile barcode printers. If employees spend a good part of their day traveling back and forth between their work area and a central print station to retrieve labels, there’s a good chance you’ll see significant productivity gains by deploying mobile printers or wireless printer carts. 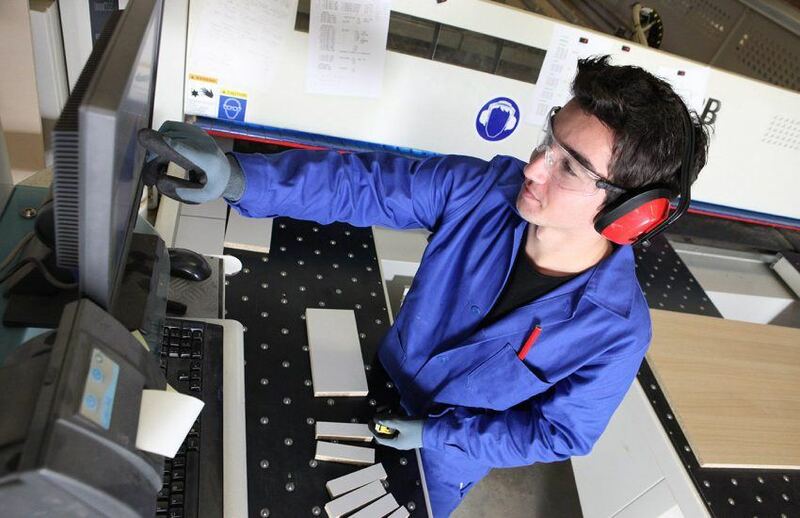 Zebra Technologies conducted a time-motion study of receiving operations, in which the warehouse worker only had to take nine steps to travel from the pallet with items for labeling to the workstation where labels were printed. Pallets were labeled in 42% less time (28.11 seconds compared to 49.74 seconds) when mobile printers were used to eliminate the short walk to the central printing station. Based on the volume of materials processed at the distribution center, managers quickly determined that a mobile printing system could provide significant productivity gains and a rapid ROI. Besides reducing unnecessary walking, mobile printers can save time by allowing workers to label goods on the dock as they arrive. Zebra Technologies also found that mobile printers used for putaway can improve processing time by 62%. Employees can label items as they are picked, saving time at the packing/shipping station. Zebra Technologies also found that mobile printers used for putaway can improve processing time by 62%. Choosing the appropriate mobile printer for your work environment is essential for achieving the kind of results outlined above. Here are 9 things to consider before making a mobile printer selection. Warehouses can be dusty and dirty, and depending on the geographic location, they can be hot and humid or cold and dry. Be sure to select a device that’s built for your environment. Specifically, you should look for a printer that has an IP (ingress protection) rating (a measurement of resistance to particles and liquid) that matches the environment where it will be used each day. For example, an IP rating of 68 is dust-tight and waterproof for continuous immersion. Most warehouses have concrete floors, which is another factor to keep top of mind when shopping for a mobile printer. Consumer-grade printers quickly become damaged in these environments. Rugged printers, on the other hand, are built to withstand multiple drops onto concrete from specific distances typically between three and six feet. Another consideration is how much printing you plan to do each day. Some consumer-grade printers are designed to print no more than a few hundred labels a day. When used in environments where 500+ labels per day are the norm, these printers don’t hold up. Since your mobile printer will be receiving data from your warehouse management system (WMS) or ERP and your barcode scanners, it’s vital that these systems are all compatible with one another. If you already have a WMS/ERP system and barcode scanners, be sure to validate compatibility with your vendors. 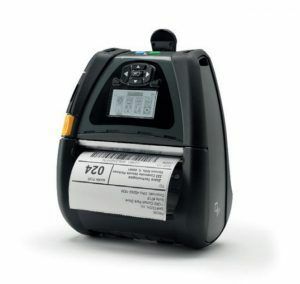 There are several ways barcode scanners can communicate with mobile barcode printers, such as a physical tether between the two devices (via USB, Ethernet or serial ports) or using a wireless connection such as Bluetooth or Wi-Fi. Unless you plan to mount the printer to a mobile cart or forklift, you’ll probably want to go with one of the wireless options. Additionally, make sure it supports the latest versions of these technologies (e.g., Bluetooth 5.0 and 802.11 ac for Wi-Fi) to ensure optimal performance. There are different kinds of media used to print labels and receipts and some essential criteria to consider. A common pitfall we see is using direct thermal labels on items used outdoors or in hot environments. In these environments, direct thermal labels turn yellow, and the font or image on the label will fade. If the heat is intense enough, the entire label can turn black, making it unreadable. Some companies learn this lesson the hard way after labeling thousands of products. If they’re lucky, the problem is caught before the product is shipped to a client and corrected. In some instances, we’ve heard of scenarios where large customers reject entire shipments based solely on the supplier using labels that were smudged, faded or didn’t meet the retailers’ criteria. An impact printer is often the better choice for hot, humid environments. Also, consider whether users will be printing only receipts or labels and documents that need to last — which can help you decide between thermal transfer and direct thermal printing. Some printers are designed for quick media changes and maintenance on the floor — and others are not. If changing out media or cleaning the printhead requires a lot of time, training, and specialized tools, you are likely to bog down your printing operation. Be sure to choose printers that are designed for fast media changes, and that can easily be opened for cleaning/maintenance. Printers designed for long life tend to have longer warranties. Take a look at the details of the vendor’s warranty program, and if possible, ask some existing customers about their warranty experience. Does the vendor honor the warranty? More importantly, how aggressive are they in their efforts to nullify the warranty? Warehouse operators may use cheaper label media to reduce costs, which inadvertently wears out the printheads sooner and invalidates the warranty. If there are some “gray areas” in the warranty claim, a good printer partner will give the customer the benefit of the doubt while providing additional education on the proper care of the printer. There should be limits to that goodwill, but in general, the vendor should put more effort into strengthening the customer relationship than they do in searching for reasons to deny a claim. One of the biggest challenges with any mobile device is keeping it powered throughout the user’s shift. In addition to choosing portable printers with long-lasting batteries, look for printers that enable quick battery swaps, and that can be quickly recharged. #9 Who will you contact for support? Robust support is essential, and the printer vendor should have the resources available — either directly or via an authorized third-party service program — to service their printers promptly. Does the vendor/support company only offer support via a call center? Is their support center located in another country, or do they have a team that’s geographically close so you can meet someone face-to-face if necessary? Having North America-based support can help overcome any language barriers as well as significant time zone differences that would otherwise complicate or delay problem resolution. Overseas support centers can easily eat up a half day or more of back-and-forth communication. Look for offerings that provide a multi-tiered support strategy. Additionally, consider the support company’s reputation. Trusted brands stand behind their products and support customers throughout the product’s lifespan. The vendor/service provider should also have a good track record of providing excellent service and support. Optimizing your barcode printing operation can have an enormous impact on warehouse efficiency. Don’t forget, however, that you don’t have to follow all the steps listed above on your own. EMS Barcode Solutions has more than a decade of experience procuring, selling and supporting barcode hardware and software solutions to warehouse and manufacturing companies just like yours. Not only have we tested and vetted all the leading brands to ensure they meet the above criteria, but we also offer depot repair services on all the hardware brands we sell, and our average turnaround time on repairs is just three to five days. And in many cases, we can provide you with a spare while you’re waiting for your equipment to be repaired. If your equipment can’t be repaired, we’ll work with you to find the least expensive way to replace it. If the problem is software-related, we offer training packages, phone support, and remote setup. Our involvement doesn’t end until you’re happy with the solution. Get a free consultation with one of our printer specialists learn more and find the right printer for your application. We’re also available via web chat, email or phone, and our friendly and knowledgeable staff is ready to assist you.